Please support a friend’s kickstarter! If you’re a fan of dark fantasy, new weird fiction, weird westerns and other forms of genre blending, please check out the kickstarter for Ashe Armstrong’s 2nd book in his Demon Hunter series, “Demon Haunted.” It continues the adventures of battle scarred and ever observant demon hunter, “Grimluk”, an Orc setting to make things right in a world gone wrong. In the series, you have a mixture of classic fantastic staples straight out the Dungeons & Dragons multiverse that have advanced into a pseudo-19th century inspired world. The magic is weird, the locals are weirder, and the rules are rewritten! Backers even get a copy of the first book, so they can be all caught up once the second is released! So please, lend a hand to continue making this fun series a reality. You can find it here. I won’t lie, I’ve been waiting to cover this game for a while now! I won’t deny it, I’m a huge fan of From Software’s line of brutally challenging fantasy-horror games! Since 2009, they’ve delivered punishing, but fair action strategy games which force the player to study the environment and learn from their continuous failures. The previous Soul series in particular relied on defending yourself from danger while striking the foe at the right time. You could shield an enemy’s devastating attack while delivering one of your own. And lucky for you, your armor can sometimes absorb some of that pain. Of course, this is all to reflect those worlds’ faux-Medieval fantasy analogue. Bloodborne discards many of those concepts, while still keeping a lot of familiarity. The land of Yharnam is one emerging into an industrial age. But, before modernization truly takes off, a sickening plague has washed over the lands. Of course, this concept should seem familiar to Souls fans everywhere. However, this one plays it up a bit differently. Instead of a curse that drains life from the world, this infectious plague spread madness and mutation. 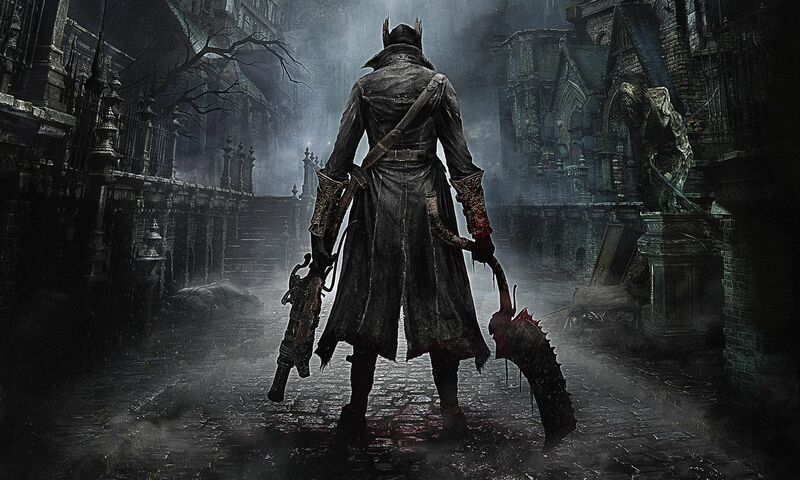 If Souls is gritty pulp, Bloodborne is a hybrid of Gothic and Lovecraftian style horror. Does it live up to the legacy? Does it do something different? If so, is it too far or not far enough? I see the bad moon rising… falling! Just like its predecessor, The Legend of Zelda Ocarina of Time, Majora’s Mask received an upgrade for the current gaming generation. This game adds significant adjustments to gameplay, graphics, and even quests. While there isn’t too much “new” content, it still feels like a slightly different experience. This title, based on the 2000 title for the N64, is one of the most beloved in the Legend of Zelda series. 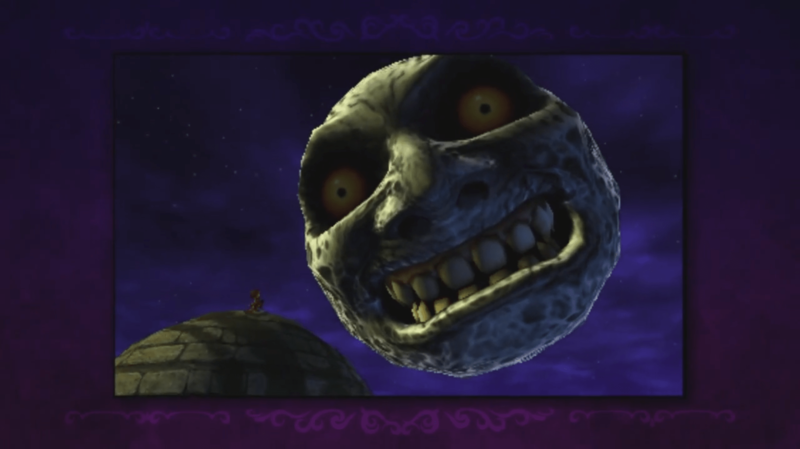 Like previous entries, this game radically changes up the norm for the Zelda universe; the plot does not involve a fight between Zelda and Ganon, the antagonist is the Skull Kid you sought out in the introduction, and the stakes go beyond apocalyptic! Combined with the existential and occasionally macabre themes, this could very well be the darkest entry in the series. Combine that with unsettling fan theories and notorious fan fiction, and you get a celebrated game for the ages. However, we’re not here to talk about the original game so much as the “Enhanced Edition” (see what I did there?) for the 3DS handheld.